Technology in hotels – will a robot be checking you in soon? 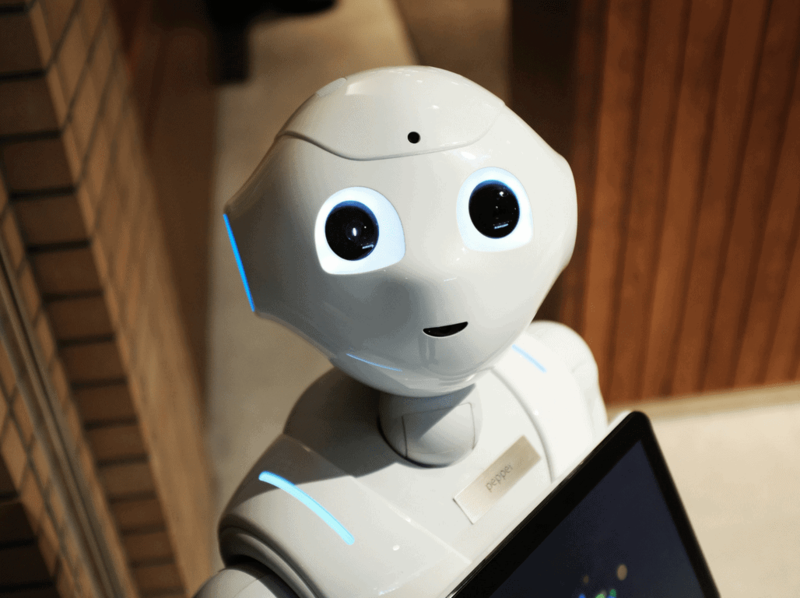 Home / Business Travel Blog / Technology in hotels – will a robot be checking you in soon? As technology becomes integrated in to almost every aspect of our lives, hotels are utilising it to ease some of the traditional pain points for customers. From digital key cards to ease check in congestion to iPad’s to message the concierge, big chains and independent hotels are using technology to stand out and deliver a memorable customer experience. Aloft Cupertino in California has a robot call Botlr who can bring you towels or snacks while you’re relaxing by the pool, or he can deliver things to your room. That’s definitely an incentive to order room service! The Yotel in New York has a robot (called Yobot) who will safely store your luggage and will release it back to you with a pin and your surname. The hotel also has motorised beds that move to give you more space in your room. The Weird Hotel (yes, really) in Japan has an English-speaking dinosaur robot, a Japanese-speaking humanoid robot (which, to be honest, looks a little creepy) to check you in and a robot concierge doll in each room. There’s even a robot to carry your baggage to your room. Hotel 1000 in Seattle has a virtual golf course where you can play at any of the top 50 courses from around the world! There are two golf stations and an infrared tracking system measures velocity, spin and trajectory of the ball to give you the most realistic experience possible. The NH Hotel in Berlin, Milan and Barcelona support holographic technology so you can project a 3D image of yourself, or your presentation, into the conference room. Hotel Bel-Air in Los Angeles has recently been restored and they have integrated high spec tech with luxury decor. You can control the lights, temperature, wake up calls and don not disturb notices from one of the 3 touchscreen phones, the master switches or the Bang and Olufsen TV. You can use the in-room iPad to read any of the worlds major newspapers, order room service or even call housekeeping. The Upper House in Hong Kong asks guests to check in using a touchscreen tablet before they are loaned an iPod Touch which is preloaded for a library of music, games and movie. Room have unlimited high-speed Wi-Fi, a 42-inch HD widescreen TV with video on demand and the bathroom has freestanding limestone baths with integrated TV and touchscreen controls. The rooms start on the 38th floor so you’ll be able to enjoy the tech whilst marvelling at the amazing views of the Hong Kong skyline. The Aria Resort in Las Vegas has ‘Sky Villas’ which offer the ultimate in personalisation. As you approach your room, your RFID key (or smartphone if you’d prefer) will automatically unlock the door and your room will adjust itself to your preferred settings. The room will remember how you last had the lighting, the temperature, the curtains, TV channels or playing music or there is also a touchscreen that lets you control the automation and turn on the “Do Not Disturb” sign on your door. The legacy brand has positioned itself at the forefront of scalable technology through the investment of $550 million in global infrastructure. The first UK Hilton hotel to benefit from this is the Waldorf Hilton in London where customers will be able to take advantage of a Digital Room key. When customers check-in they can opt to have the Digital Room key enabled via the Hilton HHonours app on their phone, giving them access to their room and any other areas they are able to access. Hilton also provide customers with the ability to choose their room based on the hotel layout and outside environment, a bit like when you choose your seat on a flight. The choice and personalization that Hilton are delivering to customers is impressive and the technology has been well received by customers in the US and Canada with over 1,700 hotels having the Digital Key technology and over 11 million doors being opened using it.